The Kampala-Kanungu-Butogota- Bwindi buses (Muhabuura/ Highway coaches which leave Kampala between 5:00 Pm and 7:00 pm and they both reach Bwindi, Buhoma between 6:00am and 8:00am (advisable to be in the bus park at 4:30p.m. 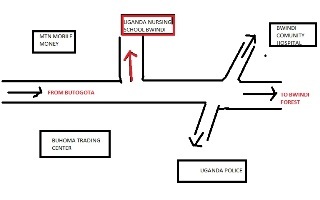 Muhabuura is in the Baganda bus park (Qualicel Bus Terminal), and Highway in Kisenyi Bus Terminal). 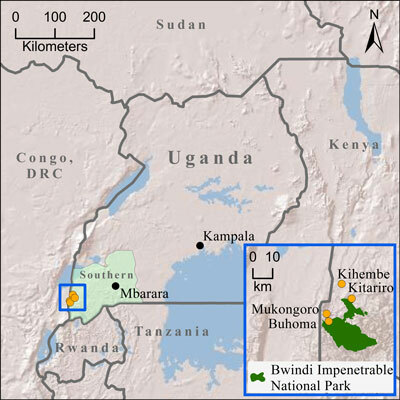 Transport from Kampala to Bwindi is Shs.40,000 on normal days, but may increase on holidays such as Christmas and New Years. The Kampala-Kanungu-Butogota buses (Muhabuura/Marilyn), which leave Kampala at 4:00am/5:00a.m and they both reach Butogota at 4:00pm-4; 30pm. (advisable to be in the bus park at 4:30a.m to board Muhabuura). 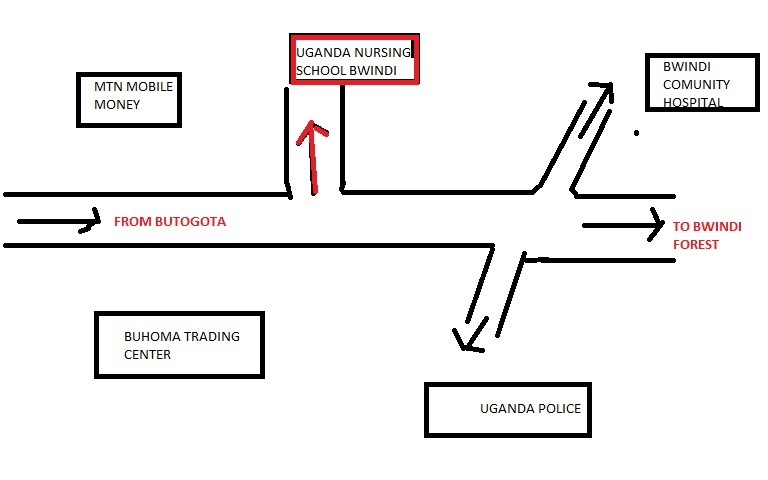 After you have reached Butogota, it's about 17kms to Bwindi. You will have to board a taxi which costs about Shs. 3,000, or you can get a bodaboda (motorcycle) which costs between 6,000 and 10,000 shillings. The Kampala - Kihihi bus (Savana). This bus does day and night journeys. Day journey, the bus leaves Kampala at 5:00a.m and reach Kihihi at around 2:30p.m. Transport is 30,000 on normal days. 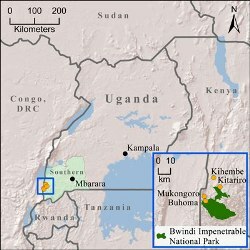 Bwindi Community Hospital is 36kms .The easiest way is to get a motorcycle to Bwindi Community Hospital which costs around 15,000-20,000, or you may use taxis (hired) which cost around 70,000 to 100,000 on normal days.